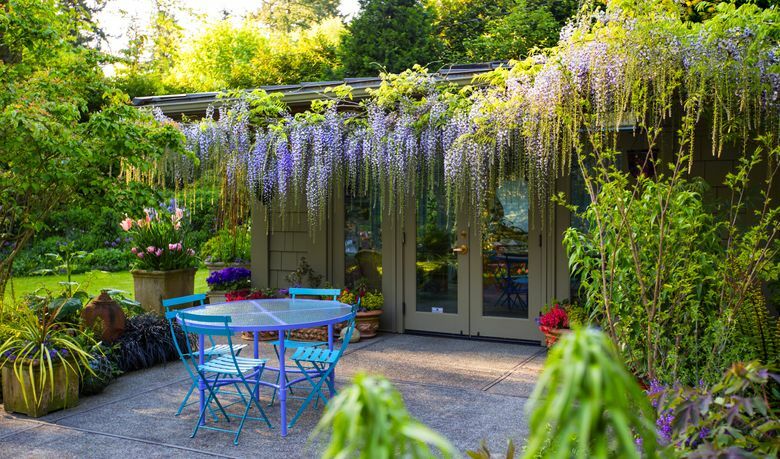 The Dunn Gardens: “It’s 100 years old, and visitors are still gobsmacked by it!” The North Seattle garden, designed by famed landscape architects the Olmsted Brothers, is residential in scale and open to the public. 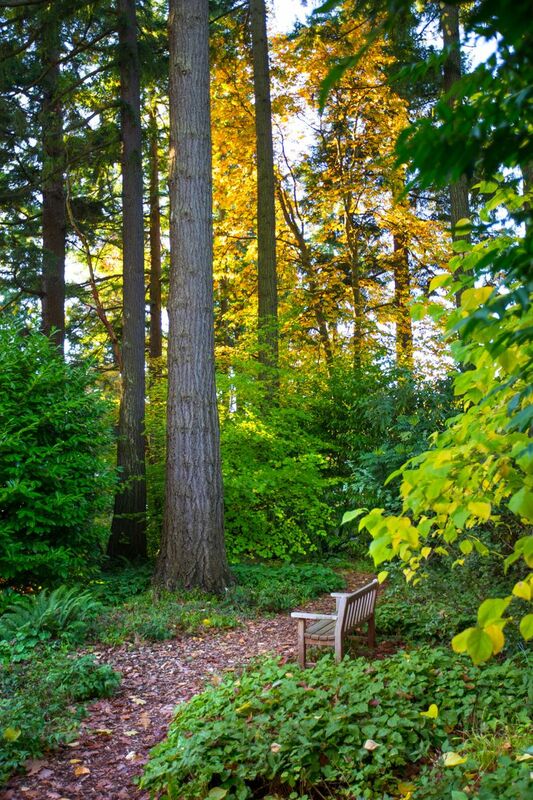 THE DUNN GARDENS in Seattle’s Broadview neighborhood is a mecca for tree worshippers and anyone seeking a dose of nature in the city. Designed a century ago by famed landscape architects the Olmsted Brothers, it is residential in scale and open to the public. The garden’s leafy deciduous trees are a distinguishing feature. In spring and autumn, the magnolias, beeches, oaks and maples bloom and blaze. The Olmsted Brothers’ plan preserved the native conifers, with an understory of trees to change with the seasons. Trillium, cyclamen and snowdrops bloom beneath the trees in springtime, followed by banks of rhododendrons flowering through the woodland. In 1915, Arthur Dunn hired the Olmsted Brothers firm of Brookline, Mass., to design the garden where his family spent its summers. The Olmsted plan for the property respected its natural contours, opening up vistas to a wooded ravine and across a meadow-like great lawn. The original scheme carved out a circulation system of curving drives and pathways. These features still exist, creating the gracious, historic feel of the place. Nothing changes more dramatically through the years than a garden, yet this six-acre landscape remains vibrant as it celebrates its centennial. Executive Director Beth Weir sums up the effect. “It’s a hundred years old, and visitors are still gobsmacked by it!” So are the curators, garden designers Glenn Withey and Charles Price, who have lived in Ed Dunn’s old home for 17 years. What do they love best about residing in the heart of an Olmsted landscape? “The whole of it, the grand old deciduous trees, broad lawns, seasonally bright borders . . . ” says Price. The Dunn Gardens is alive with people as well as plants. There are frequent docent-led tours. Art walks feature sculptures in the woodland and glass spheres strewn across the great lawn. 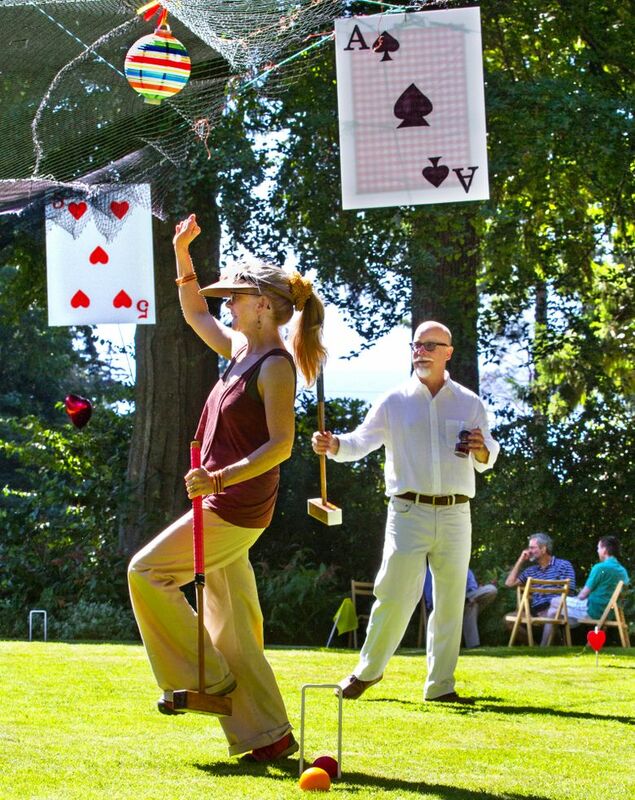 Hundreds of costumed croquet enthusiasts flock to the midsummer Mallets in Wonderland event. Snowdrop and solstice strolls, a popular fall foliage festival, classes and lectures attracted more than 2,000 visitors last year. Any garden that survives long enough comes up against the dilemma of outliving its creator. When Arthur Dunn died in 1945, his children Ed and Dorothy stepped up. Three generations of the family have stewarded the property through division into parcels, the creation of a trust, granting of conservation easements and opening to the public as Ed Dunn wished. The E.B. Dunn Historic Garden Trust, established in 1993, now owns and manages the property, which has been placed on the National Register of Historic Places. The board takes a rehabilitative approach to caring for the garden. In 2004, the woodland had grown so dense that Ed Dunn’s beloved rhododendrons became diseased. Something had to be done. “The board approved removing 25 trees to restore the garden to the light levels of the 1950s,” says Weir. “It worked, but now we have to do it again.” The goal is to maintain what is significant about the original design’s emblematic elements. Yet, trees grow, plants are lost to age and disease, and old pathways need updating for safe public access. 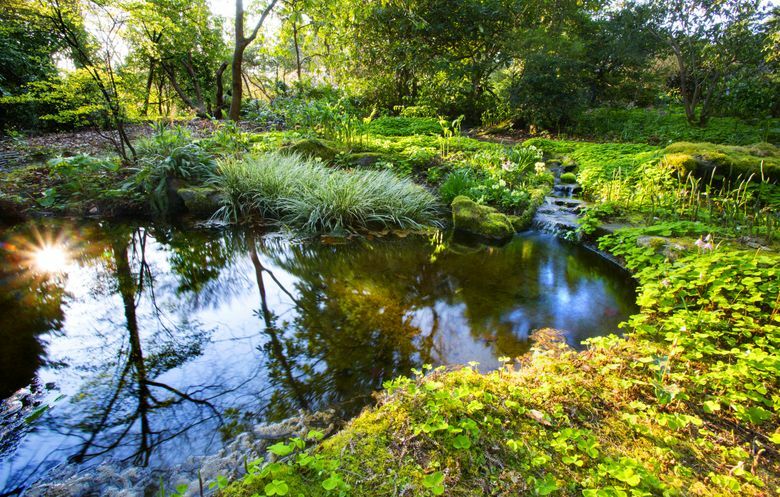 The Dunn Gardens’ continuing appeal lies not only in how beautifully the Olmsted Brothers’ design suits the site’s nature and topography, but also in how changing visions play out in the landscape. Curators Withey and Price renovated one of Ed Dunn’s woodland borders with trees and shrubs sporting dramatically colored foliages. Then there’s the Curator’s Garden, filled with modern plants, layers of hedging, art, brilliant dahlias and espaliered bamboo. Perhaps the garden has stayed relevant all these years because it was designed to touch the human spirit. The Olmsted Brothers felt gardens should be places of respite, and this philosophy is reflected in the abiding serenity of the gardens they created. And what about the future of this historic treasure of a garden? “Tending the legacy is continuous,” says Weir. A goal of this centennial year is to raise sufficient endowment to ensure the garden’s future. Festivities include a celebratory dinner on the great lawn, lectures by garden historians, and the Dunnton Abbey Garden Party on Aug. 8, a period piece complete with turn-of-the-century cars and costumes. To contribute, volunteer, or learn more about upcoming events, see www.dunngardens.org, or call the office at 206-362-0933. Valerie Easton is a Seattle freelance writer. Reach her at Mike Siegel is a Seattle Times staff photographer.